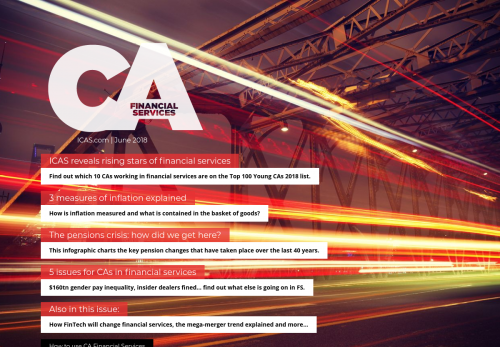 Find out which 10 CAs working in financial services are on the Top 100 Young CAs 2018 list. How is inflation measured and what is contained in the basket of goods? The pensions crisis: how did we get here? This infographic charts the key pension changes that have taken place over the last 40 years. $160tn gender pay inequality, insider dealers fined… find out what else is going on in FS.